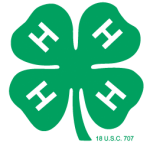 Welcome to Wisconsin 4-H Projects! If you are in 4-H, the projects and curriculum listed on these pages are only recommendations. Not all these projects may be offered in your 4-H club, county or state program, which may use different curriculum for projects, too. But these pages are great places to start for ideas, so browse away!